Continuing leagues are designated P-NHL (P stands for perpetual). Teams in continuing leagues keep 9 players from year to year, and drafts are held in the reverse order of the previous season's standings. Leagues with orphaned teams are listed below. 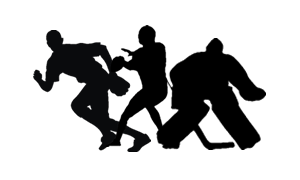 For a complete list of the continuing league rules, go to: Continuing Hockey League Rules. The normal price for a continuing league team is $74, but since the season is underway, orphaned teams can now be had for only $24 for the rest of the season. If you would like to pick up a team, please Contact Us and let us know what team you would like to pick up. Also, private leagues NHL Aracor and NHL MMMHL are looking for new owners to take over a couple of orphans. Contact NHL Aracor and NHL MMMHL commish Conrad Anderson at mblava@yahoo.com or mblava@tcmsnet.com if you are interested in joining either league.